The following is the unedited recording of a lecture given by Giovanni. Tongue Diagnosis is an essential tool in Chinese medicine as the Tongue nearly always shows the true condition of the patient. It is particularly useful in complex, chronic conditions manifesting with contradicting symptoms and signs. Its strength relies in the fact that it is nearly always reliable and objective. Compared to pulse diagnosis, it is also much easier to learn. This audio-only presentation is from a lecture given by Giovanni. This is an un-edited recording preserving the spontaneity and improvisation of a live lecture environment. Paid courses include an extensive visual presentation and a certification exam. 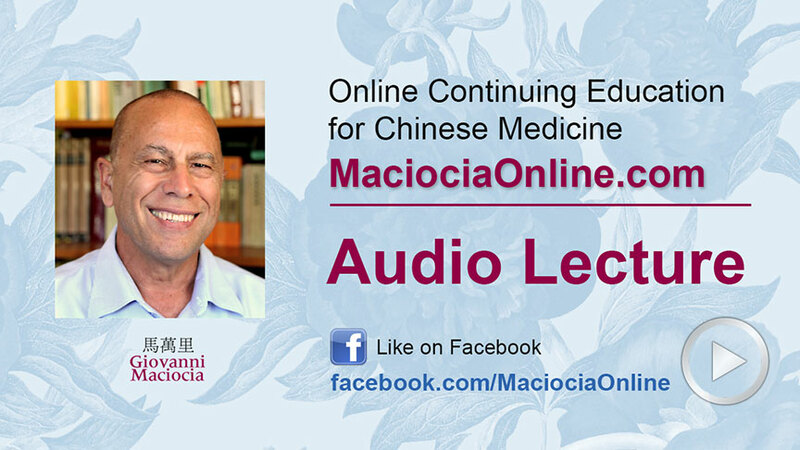 This is an informative, audio-only, lecture on Chinese Medicine by Giovanni Maciocia. Paid courses include an extensive visual slide presentation with video, text, diagrams and photos, exclusive access for question & answer feedback and a certification exam.